They say that the latest innovations in the field of artificial intelligence (AI) are going to change virtually every aspect of our lives. Well, the truth is that AI technology is already being used a lot more than many people might think. Siri and Cortana are only a few examples of artificial intelligence we interact with every day. 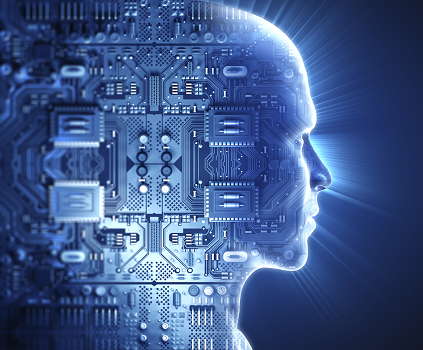 So, what is artificial intelligence? In a nutshell, AI is the simulation of human intelligence by machines, which makes it one of the most controversial areas in computer science. However, we are not going to discuss whether development of machine intelligence is good or bad. Instead, let’s take a look at some things about AI you might not know about. Most likely, you have heard of Alan Turing, an English computer scientist, cryptographer, and mathematician, who is considered the father of AI due to the so-called Turing test of machine intelligence he introduced in 1950. Nevertheless, the very idea of artificial intelligence appeared long before that. Let’s just remember the Great “Robots” of Hephaestus from Greek mythology and the medieval alchemists who believed that human brain can be placed in an inanimate object. Have you ever thought about why most applications of artificial intelligence are “females?” The fact is that female voices are clearer and have a higher pitch, which makes them easier to understand if compared to male voices. However, another reason for this may be that specialists working with artificial intelligence today are mostly men. The latest technology in artificial intelligence has proven that computer programs can be creative. Moreover, they can produce masterpieces no less amazing than renowned artists. Google Deep Dream and The Next Rembrandt are just two of many examples of artificial intelligence that can produce art indistinguishable from that of a human. Development of artificial intelligence has enabled robots’ automatic self-repair. It’s not that they understand they are broken, but they can figure out that something is wrong with their performance and easily troubleshoot themselves in case of need. That is a huge step forward in AI. Investment funding in AI startups has shown strong growth in recent years. Artificial intelligence is undoubtedly a hot market that attracts people willing to invest in AI hardware and robotic applications. Thus, some companies have already risen hundreds of millions of dollars in funding after only several years in operation.